Brisbane’s surf-house duo Cut Snake is back again with a brand new EP that is sure to make you hungry for some beach vibes and hamburgers. This three track EP entitled ‘Action Burger‘ is yet again another super rad and deep offering from the Aussies. Boom Boom seems to be a crowd favorite and I couldn’t agree more, the track really brings some heat with a big old bass line and some really fun new sounds and synths. However the whole EP really is a super solid listen from start to finish, three really well produced house inspired tracks that are sure to light up any dance floor. 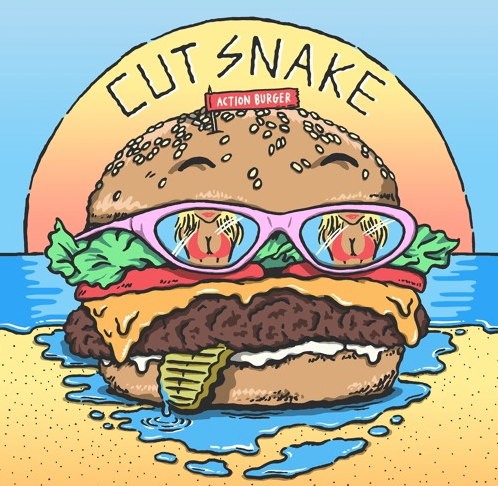 If you haven’t discovered the guys from Cut Snake until now we would highly suggest taking a listen to their most recent mix for Sirius XM’s Memorial Day programming, as well as doing some digging into past releases on their Soundcloud!